We wake up to the news that Aaron Hernandez has taken his own life. It’s on every screen and speaker—a string of firecrackers popping through the cybersphere. A man, not yet 28-years-old, has tied a bedsheet around his neck and hung himself from the window of his cell at the Souza-Baranowski Correctional Center in Shirley, Massachusetts. A football star. A convicted murderer. A bad seed. Most of us say good riddance. And there is good reason. 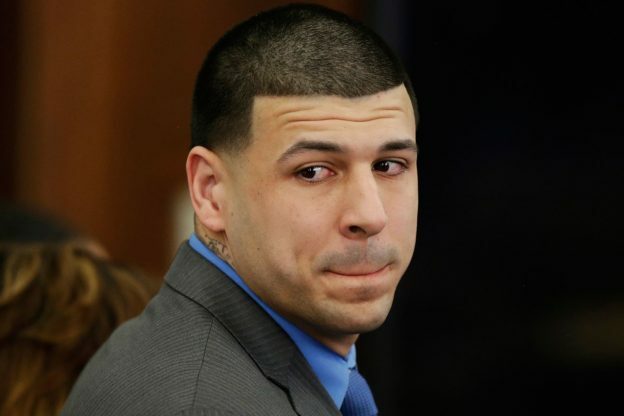 First and foremost the grief Hernandez inflicted on the family of his victim—Odin Lloyd, a semi-professional football player and friend for whose murder Hernandez was serving a life sentence without parole. And the families of Daniel de Abreu and Safiro Furtado, who were shot to death by someone in Hernandez’ car in 2012. It matters relatively little that Hernandez, a former star tight end for the New England Patriots, was recently acquitted of the double murder. Or that he always maintained his innocence in the 2013 murder of Lloyd. This is clearly a man who made bad choices, kept bad company, and did bad things. Yes, it’s not difficult—and is completely natural—for us to feel relief, even joy, that a convicted murderer and rotten egg has chosen to off himself in jail. That we won’t be compelled to see his shaved head and tattooed arms on the nightly news or wonder why the state is spending millions to prosecute a man already convicted of a murder. In many ways, Hernandez began writing his tragic end many years ago, and in blood mostly not his own. But this isn’t just a morality play. Any life that goes off the rails is a tragedy—a story told countless times in human history, with only a few of those stories, usually involving royalty or movie stars or race car drivers, etching their way into our common narrative. Like all of these, the story of Aaron Hernandez is a drama of lost talent, lost dreams, and lost lives. The sad, seemingly inevitable arc Hernandez traced from promising star to homicide to suicide is one that should also give us pause, and, for a moment, a reason to mourn. This entry was posted in Ken's Blog and tagged football, hernandez, murder, tragedy on April 19, 2017 by Ken Shulman.